Graveyard of Lost Species is an ambitious collaborative project and public monument by artists YoHa and Critical Art Ensemble that involves recording 'species' from: wildlife, marine creatures, livelihoods, fishing methods, landmarks and local dialect, that once comprised of the Estuary and which are now disappearing. The artists are contacting local people of Leigh-on‐Sea and Southend for their knowledge and expertise of the area of ‘Lost Species’. 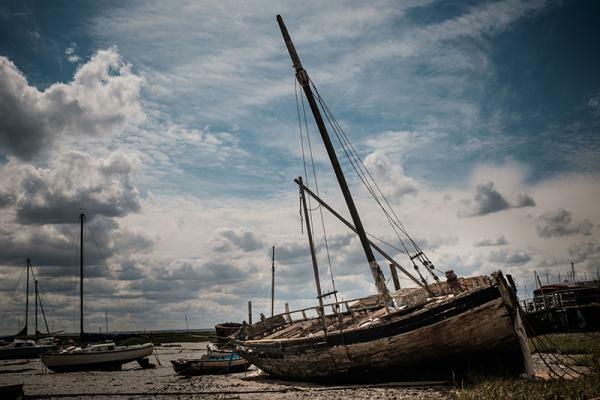 The lost species will be cut into a local boat wreck, the ‘Souvenir’ a 40ft 12 ton Thames bawley, which has been dug out of the estuary and sailed to Belton Way, Leigh-on‐Sea. 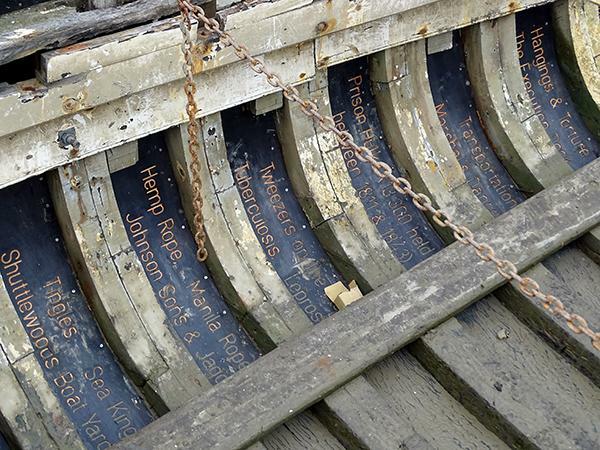 Once the text has been cut into the boat’s surface and interior, she will be sailed back onto the marshes as a permanent monument. The project is intended to act as a monument of Leigh’s past and future, as well as to uncover and highlight local knowledge about the changing ecology, society and industry of the Thames estuary. Warren Harper and Stuart Bowditch local artists are leading on the recording of 'lost species' please contact yoha below if you would like to talk to them. This project is led by YoHa in partnership with The Arts Catalyst, and is part of Wrecked! 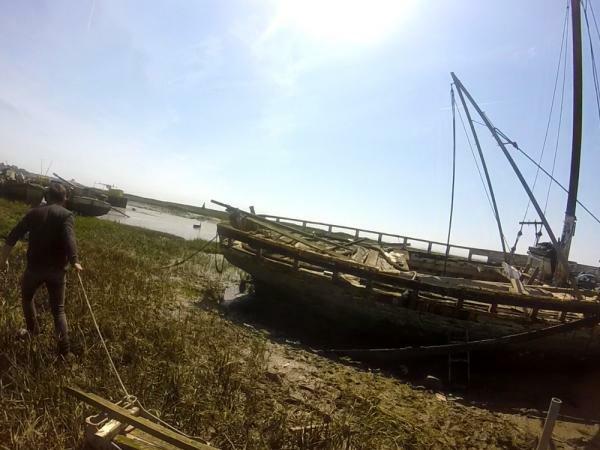 On the Inter-Tidal Zone, an art and citizen science project that is uncovering and highlighting local knowledge about the changing ecology, society and industry of the Thames estuary, in collaboration with local people in Southend and Leigh-on-Sea. The stories will be discussed at a series of ad hoc interviews and ecological ‘dinners’ by Fran Gallardo see (Talking Dirty). From this research CAE/YoHa will create a monument using a wrecked fishing boat called the Souvenir owned by local Ian Slater. The boat has been re-floated from it's seven years sunk in Leigh marsh, and we are cuting into the sides with the assistance of Stuart McHardy, Nastassja Simensky and enthusiasts, phrases and names that best represent the research. July - Sept 2015 Collect the local information and router out the text on the hull of the Souvenir. Late Sept - Oct 2015 Refloat the Souvenir back to the marsh.